Valeria Haro is a Junior Data Engineer in Datamaran’s tech team in Valencia. 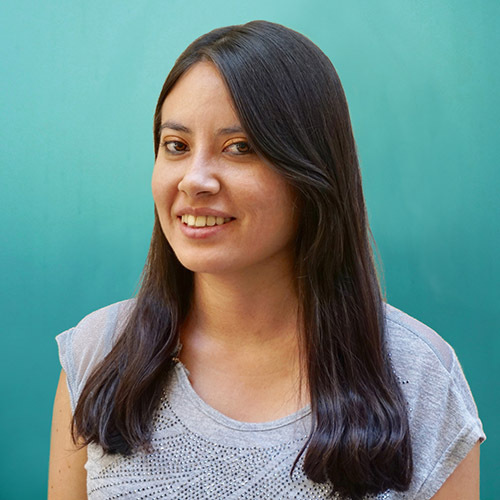 Originally from Ecuador, Valeria has studied engineering in computer science at “Universidad de Cuenca”. It was there that Valeria discovered her passion for data, finishing a project at the university where she implemented a business intelligence system for the university library. She is from Ecuador, doing her master in Information Management in Valencia and she will join eRevalue as Data Engineer, for an internship of 6 months starting today. Valeria worked for the university project with web semantics and continued that work afterwards in a private company, analysing government data to carry out migration processes. Valeria enjoys doing sports like football, basketball, and volleyball. Valeria also enjoys dancing and practices salsa, merengue, bachata, and even took a class in Arabic dance. Fun fact: Valeria was once speaking in front of a microphone when she read a text aloud without realizing. Unfortunately it included my first swear word and it was in front of lots of people! Everyone was silent for a moment and then my friends burst into laughter. It was a shameful moment!